Coming into 2015, one of the big stories to watch nationwide was the impending implementation of voter ID in North Carolina – the result of a 2013 law that gave the state until 2016 to rollout a requirement that voters show photo ID at the polls. The change was the subject of not one but two lawsuits – one in state court and one in federal court – challenging the new law. Indeed, North Carolina’s voter ID law was seen as one potential test for the DOJ’s attempts to step up enforcement of the Voting Rights Act via litigation in lieu of preclearance post-Shelby. Changes made to North Carolina’s voter ID law last week have roiled a state court case in which plaintiffs were asking a judge to delay or throw out entirely the requirement that voters show current photo identification when they go to the polls starting in 2016. Lawyers representing both a group of voters and civil rights organizations as well as lawyers defending the state and the General Assembly told Superior Court Judge Michael Morgan on Monday that they needed time to digest what a bill lawmakers sent to the governor last week will mean. 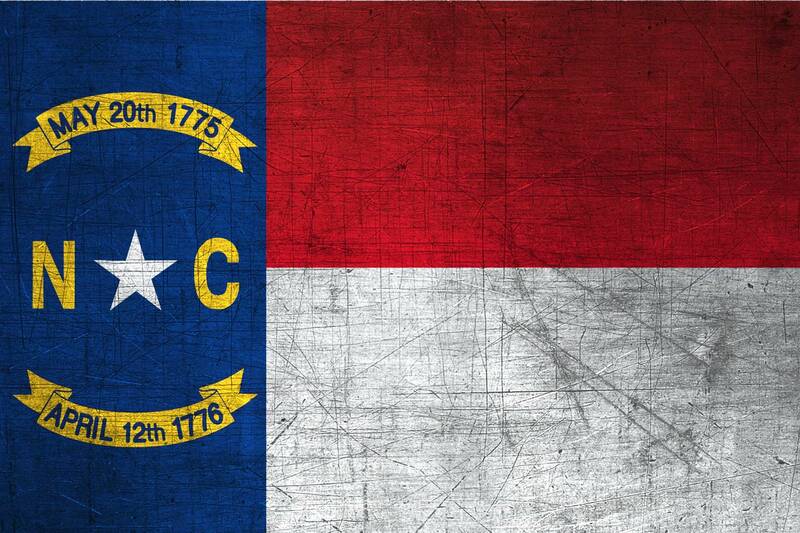 The lawsuit is one of two court cases challenging North Carolina’s sweeping 2013 elections law. The other is in federal court and covers a broader array of issues than the state case, which is focused on the voter ID requirement. Under the 2013 law, all voters would have to show a current government-issued ID in order to cast a ballot. The changes made last week would allow someone with an expired driver’s license or state-issued ID card to vote if it was less than four years out of date. It will also require elections officials to help someone who tries to vote without an ID during the early voting period to use a mail-in ballot, which does not require ID. the “reasonable impediment” language was modeled on a similar South Carolina law that federal courts have upheld. However, North Carolina’s law requires voters to state very specific reasons why they could not obtain an ID, while the South Carolina law is vague as to what would constitute such an impediment. For example, the State Board of Elections has been educating voters on the 2013 version of the law for two years now. Those rules are about to shift. “Everyone who went to vote in 2014 was told something different,” [plaintiffs’ attorney Anita] Earls said. Meanwhile, North Carolina voters have only six more months under the old rules that require most voters only to state their name and address in order to vote in person. Speaking purely from an election administration perspective, the timing of this change couldn’t be better. Getting the rules for ID in place now – when they can be explained to voters and (just as important) poll workers before the ballots start flying in next year’s elections – is undeniably a very good thing. What, if any, effect the change will have on the two court cases – and the larger struggle between the parties, between states and the federal government or on the issue of voter ID nationally – remains to be seen. Given the history of this issue so far, I’m not even sure this is the last we’ve heard (or the last change we’ve seen) on voter ID in North Carolina. Be the first to comment on "The More Things Change: Everyone Scrambles as North Carolina Rethinks Voter ID (Again)"